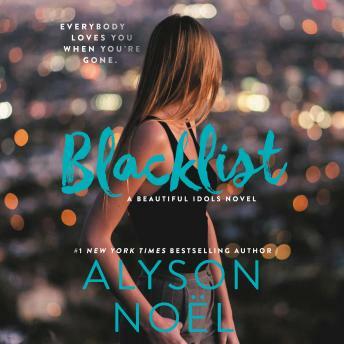 Fans of Pretty Little Liars will crave the mystery and suspense in the second book of #1 New York Times bestselling author Alyson Noël’s Beautiful Idols series, where celebrity worship is a dangerous game. Wannabe reporter LAYLA, aspiring actress ASTER, and fledgling musician TOMMY joined the Unrivaled nightclub competition for the same reason—they knew winning it would change their lives. They just never imagined that somewhere along the way they’d become entangled in the disappearance of mega starlet MADISON BROOKS. Now each of them is smack in the center of a media frenzy that threatens to take all of them down. Banding together to clear their names, the fierce adversaries become temporary allies and vow to dig up the truth. But when Layla, Aster, and Tommy team up with an unsuspecting insider, they will find that some secrets are best kept in the grave.